From scooters to eco-friendly rideshare, the gig economy’s biggest players came out to play this week in on demand. Here’s what you missed. On Wednesday, Lime announced a successful Series D round. Led by Bain Capital, the on demand scooter company raised $310 million, bringing their total to $855 million. Earlier in the week, the startup also welcomed two new team members to their c-suite — Duke Stump as CMO and Li Fan as CTO. Previously, Stump worked as EVP of Brand and Community at Lululemon, and Fan served as Lime’s head of engineering. With the latest announcements, Lime is starting out 2019 in a much better position than it ended 2018. The company faced various struggles over the last year, including scooter recalls and a connection to a controversial PR firm. Despite the setbacks, their Series D round showcases there’s still an incredible amount of interest in the e-scooter company. While Lime moves forward, one of their biggest competitors remains stuck in place. On Tuesday, Jump’s appeal to enter the San Francisco market was denied. Currently, the city’s Municipal Transporation Agency (SFMTA) has full control over which e-scooter companies are allowed to operate in the community through their recently enacted pilot program. They also restrict the number of scooters on the streets. After the agency rejected Jump’s permit request last year, the Uber-owned business filed an official appeal. The company claims their rejection is a result of the past grievances between Uber’s ridesharing service and the city. However, the SFMTA disputes that claim. Now, Jump is hoping to be added to the pilot program’s expected expansion in the spring. Late last week, Uber announced its driver recognition program is expanding to two more cities. Uber Pro is now available in Washington, D.C. and Boston, bringing the total to 10 markets. Seasoned drivers with Gold, Diamond, and Platinum statuses that reside in those areas are eligible to take advantage of the program’s many perks, including tuition coverage. While U.S. Uber drivers enjoy well-earned recognition, commuters in Mumbai now have an option to avoid the area’s infamous traffic backups. The ridesharing company has officially launched Uber Boat in the city. This on demand transportation option allows passengers to book seats on speedboats or charter a full watercraft to bypass the congested roadways. Without a doubt, Uber is an international player in the ride-hailing industry, but in some regions, like Southeast Asia, the company has allowed competitors to buy them out. Now, the business is using the exact opposite strategy in the Middle East. Reportedly, Uber is in talks to buy industry rival Careem. The potential acquisition move matches up with their decision to focus on expansion in regional markets, like Saudi Arabia, ahead of their impending IPO. Uber Freight, the ridesharing company’s trucking segment, has lost two of its first employees to Turvo. The cloud-based SaaS business specializes in real-time logistics for shipping and freight companies. Charlie Bergevin joins Turvo as the enterprise partnerships executive while Brian Cristol serves as the head of enterprise partnerships. Another Uber Freight team member, Bin Change, is also heading to Turvo. While Bergevin and Cristol were the original driving forces behind Uber Freight, the on demand hauling service isn’t likely to be affected considering its substantial growth in the last year. The platform expanded its offerings in October to include Powerloop — a trailer rental service. Uber has been consistently present in on demand news roundups in 2019, but Lyft has mostly laid low in the new year. Now, the rideshare company is making waves once again with the announcement of its new Green Mode option. The latest service launch allows Lyft customers to request rides in electric vehicles. Right now, Green Mode is only available to riders in Seattle, but the company has plans for expansion, with a noticeable focus on its California markets. To increase passenger options, Lyft is providing free charging to drivers that rent Chevrolet Bolt EVs. 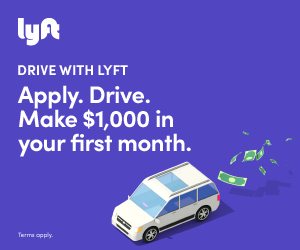 The incentive is available to Lyft fleet members through the company’s Express Drive program. As the ridesharing industry moves to more sustainable practices, a top player in the on demand delivery sector is facing more legal hurdles. On Tuesday, Instacart was hit with a class-action lawsuit regarding its wage practices. The company advertises a minimal earning of $10 per hour for its independent contractors, which are known as Shoppers. However, the lawsuit is claiming the company misrepresented the figure by using tips to reduce contractors’ actual wage earnings. While Instacart has yet to release a public response, this isn’t the delivery service’s first legal wage issue. 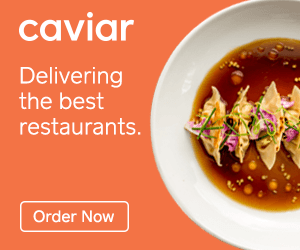 The company settled a 2017 lawsuit after questions arose regarding the accuracy of their Instacart Shoppers’ contractor classification. They’ve also received pushback in recent months after changing their pay structure, which many drivers have alleged cost them earnings. That’s a wrap for this week’s gig economy roundup. Want to stay in the know? Check back next week for another on demand headline breakdown.